I have a spare room at home and I have been thinking of setting up an electronics lab there. I did a bit of Googling to see what others have done to create a good electronics lab at home. This post is a summary of the information I have collected so far including all the interesting electronic lab videos I found. 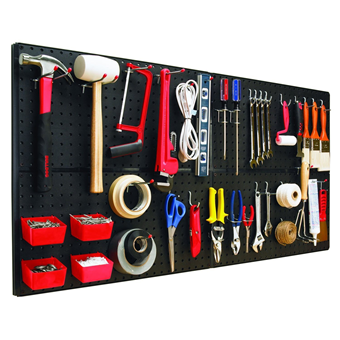 This might be helpful if you are planning to setup your own electronics workshop/lab at home. What You Need In an Electronics Lab? 2 Multimeters to measure current/voltage at the same time (Extech EX330 and AM220). Extech has micro-amp range and temperature sensor. Get a thermo probe as well. If you have plenty of money, you can buy a pre-built electronic workbench. I found a couple of good ones on sale on Amazon. Some of these come with plug points and storage cabinets. These are probably overkill for hobby electronics. 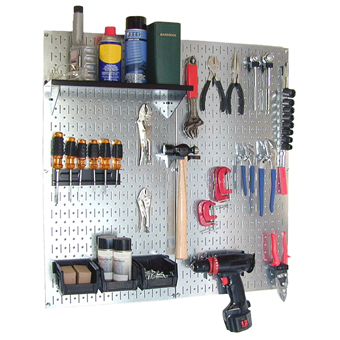 There is a wide range of storage cabinets available for storing electronic components. 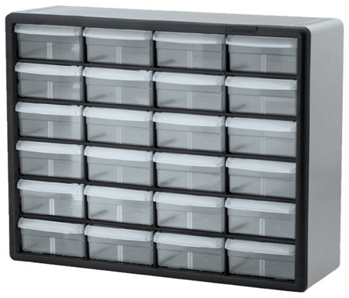 You need a couple of them and proper labeling of drawers are essential to keep things organized. I like the range from Akro-Mills. 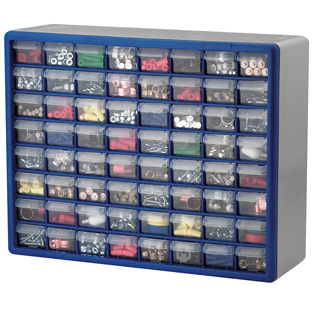 Check out the various storage cabinets available in this catalog (Page 12). For getting ideas for my electronic lab layout, I have been looking at lab layouts of other people. It is important to get the layout correct since you will be handling with hundreds of components and devices in your lab. It is also important to have a comfortable and functional lab bench. Check out the following videos for electronics lab layout inspiration! David’s lab is small, but highly efficient as he crammed the limited space with all types of electronic stuff. He has two desks – one is slightly higher than the other one. He recommends that the desk height to be between 90 and 100 centimeters so that it is also possible to work while standing. Typical pre-built desks you get in India has a height of 80cm or less. Interestingly David doesn’t have a computer in his lab. In the above video, Chris Gammel shows how he created his big electronics workbench. The advantage with his approach is that it is integrated with the room, but putting something like this is hard work. Ian’s lab is setup in a separate building. His lab is huge with a number of huge component organizer racks. He has a small TV/digital clock also as part of his lab. Shirt hooks seems to be a favorite choice for hanging wires. Michael also has a crammed electronics lab, but it has all the basic stuff (expensive that is). Storing all those liquids in such a small place seems a bit hazardous! Another lab which has a slightly different organization compared to others above. She has a pretty cool lab which is well organized. Her lab is structure more towards handling radio/audio stuff. The bonus is her cute cat! This lab is more focused on robotic stuff. Electronics lab that no one wants!